We’re here to make your wedding one of the most memorable days of your life. We make sure your dress is fitted perfectly for your special day from a choice of hundreds of styles. Catering for every sort of venue whether it is outdoors or the beach, to indoors and church weddings, we have a beautiful collection to choose from that offer the perfect fit whatever your style. 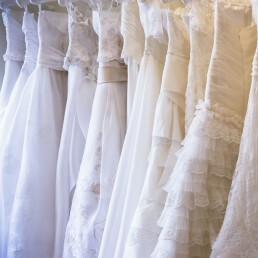 A leader in wedding dress shops in Essex. Over 5oo designer wedding dresses available to buy of the peg with prices starting from as little as £99, We stock Sizes from 8 to 30 and have a large selection of different wedding dress styles available. We are open 7 days a week and the best thing is you don’t need an appointment so pop in when its convenient for you.We are located in the heart of Southend-on-sea, Essex. Everything from mermaid, A-line, empire, or elegant ball gown styles, including dresses that act as the perfect garments for the reception! Buy the dress that is guaranteed to amaze your guests with a memorable gown that is entirely yours. Pop into our wedding dress shops in Essex today! At Bridal 4 Less it’s easy to find the style, colour and size that is perfect for you. Browse our large selection of unique styles – we’re here to help you narrow your search down by silhouette, length, size and even the type of venue your dress will be seen in! Our designers understand the importance of finding “the one” and lovingly handcraft every element of the wedding gown. Our wedding dress shops in Essex can offer you expert craftsmanship and cutting-edge design at the fraction of the price of other stores. You get unique design at an amazing price. 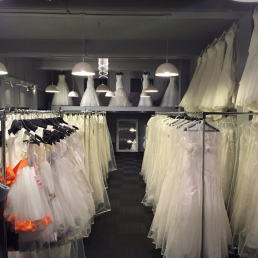 Bridal 4 Less offers a great selection of discount new style wedding dresses. Choose from a large collection of the best designs with high quality and fast service. We understand it will be one of the most important purchases you will make as well as being an item you have thought about for years. Imagine the feeling when you find the dress of your dreams, only to be shocked by the ridiculous price tag attached to it. 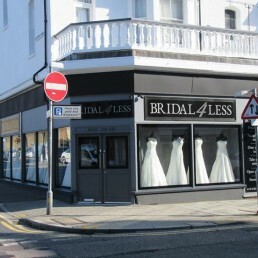 Luckily, Bridal 4 Less is coming to the rescue with a huge collection of stunning wedding dress at reasonable but – most importantly – affordable prices!